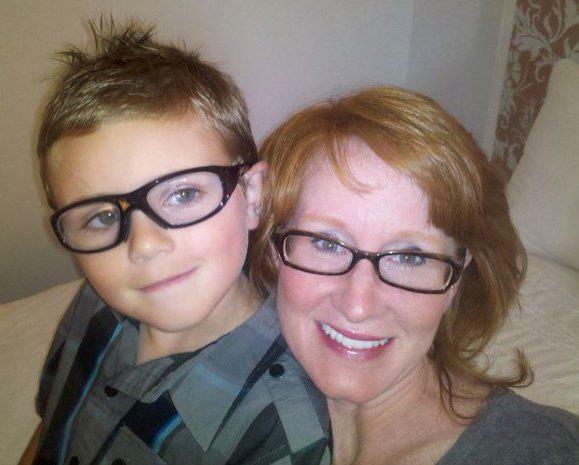 Lisa’s Story: August 23, 2011, I was prescribed Levaquin (500 mg once a day) along with Prednisone. I took it for 5 of the 10 day prescription. The biggest mistake of my life. I had finished a Zpak but it didn’t kick the sinus infection / Bronchitis. Had I been patient, another Zpak and time would have healed me just like the other dozen times I have had this. But, I was swamped at work and needed to heal quickly. In an attempt to sleep through the “most common side effects” of most antibiotics (stomach issues), I took the Levaquin at bedtime. It worked except that I started sleeping 12-15 hours a day and I was practically comatose and confused all the time. The last night, I didn’t go straight to bed and within a half hour I was having full body spasms, was sick to my stomach and told my husband I have to go to sleep, I feel like I’ve been poisoned – I’m even hallucinating! The next day, I googled Levaquin side effects because my hair was singed on the ends. It was burned like it had been lit on fire. I thought it might have something to do with this medicine, and I pulled up Web MD and numerous other sites and all of the thousands of patient reviews were horrific, permanent nerve damage, tendonitis, life long illness…I freaked out. I obviously didn’t take any more pills, but it was too late. That night I had tendon pain in one wrist so bad that it sent me to my knees in front of my 7 year old son. I didn’t cry, I didn’t scream. My breath was knocked out of me and I had all I could do to not pass out in front of him. Once it subsided, I caught my breath and said “Mommy just fell down, everything is fine…”. I walked into the bathroom, closed the door and cried for 5 minutes. It’s happening to me. I cannot believe this is happening to me. I kept telling myself to not be so dramatic – it will go away. I fell asleep and drugged myself for the next two days. Thankfully, that part only lasted 2 days because those symptoms combined with what was about to come, would have done me in. Since then, I have endured so many symptoms that in the first two weeks I started to think I had gone crazy: inability to walk (the first week only thank heavens! ), feeling of being suffocated, depersonalization, crushing chest pains, racing pulse, electrocution type jolts racing through my body, psychosis, entire body muscle spasms, tremors, dizziness, stumbling, confusion, hallucinations, frozen hands/ feet, inability to lift my own arms, abdominal cramping and pain, needing help cutting my food, hair loss (the toxicity straightened my previously wavy hair), muscle loss and wasting, dents in a number of areas of my body, collagen loss, tendon pain, joint pain, muscle pain, numbness and tingling in my extremities, and one of the best and worst symptoms was the brain fog. Best, in the sense that for much of the first 4-5 weeks, I was unable to think; so I couldn’t obsess about the destruction these 5 pills had caused me and my family. Worst, because I was no longer the same person. My mind had checked out and I couldn’t work or function as a mother and wife. I simply couldn’t function. Fortunately, most of my work is on the phone and computer and with the help of my husband and a business partner, they helped me finish out the contracts that I had started or they took them over. I sell real estate and went from negotiating and helping people with the biggest financial investment of their lives, to taking an entire afternoon to balance my checkbook. On September 6th, I went to the ER with inability to form sentences and inability to think. We thought I was having a stroke. The ER Dr. left us sitting in the room for 5 hours, ignored. He spent one minute in the room, told me the Levaquin side effects printout I gave him, could not be happening to me because I had stopped taking the drug and it should be out of my system. He threw the paper at me. Yes, threw it at me! My mother’s mouth dropped open. We were dumbfounded. The printout from the Levaquin clearly listed side effects I was having and stated if you have these symptoms, seek medical attention immediately, and I was sent home to take two Advil. This is the emergency medical care I received a $600 plus bill for? Unfortunately, even the physicians that sympathize have no idea what to do to help. They order blood work, MRI’s and often times, like me, they all come back normal. They are baffled and deny it could be an antibiotic that has destroyed my body. I went from a healthy and active 39 year old in the best shape of my life to someone that wakes up every day wondering what bizarre health problem I will have today because I took 5 Levaquin pills and didn’t Google it first. The solution…there is no solution, no quick fix. Patience, research, faith, a 7 year old son that needs me and an unbelievable husband has been my salvation. I went from begging God for my old life back and promising that I would no longer take it for granted to accepting that I have a new life and figuring out how to manage it. I’m doing my best. I exchanged pain meds for massages, acupuncture, supplements, vitamins and a healthy diet attempting to avoid painful triggers like sugar, caffeine, alcohol, dairy, and soy. 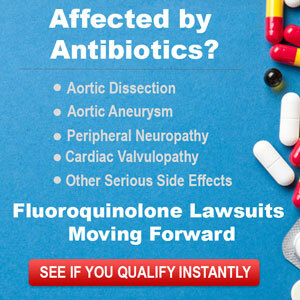 The most wonderful resource any FQ Toxicity sufferer can ever have is The Fluoroquinolone Face book page. Only fellow sufferers know and understand the pain and humiliation we have endured. Had I not found a way to manage my pain and other symptoms with Epsom Salt Baths, Magnesium, Vitamin C, Move Free, B12, Probiotics, Ligament Restore, Fish Oil, Milk Thistle and Garlic (roughly 25 pills a day), I would have difficulty moving or staying alert. I learned everything I have from the resources provided to me by the only real experts, fellow sufferers.